Home » Baby Steps ARE Progress! 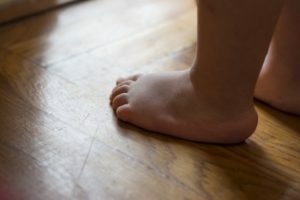 Although this is a very comedic portrayal of this idea, it brings up an important concept – that sometimes baby steps are all we can manage in a given day or moment. Here’s the key: Baby steps are okay! They are still steps, no matter how small. I think as humans – and especially those of us who live in the United States (as we have a very pressure- and stress-driven culture) – we tend not to count the steps we make towards our goals unless they are big, sweeping, giant motions. The ego has a fit when given the opportunity to recognize small motions of progress. It’s not enough! You need to do more, bolder, bigger! We end up exhausting ourselves in constant battle with the ego, and getting down on ourselves for not doing “enough”. Yes, big leaps are great. But what I have learned over the years (especially since beginning to see a therapist) is that it is the smaller, more consistent, steady steps that will ultimately create the greatest progress. And for someone like me – a perfectionist and “big picture” person who tends to dismiss the smallest of motions in the right direction – that is a huge awareness and lesson to be learned. I invite you to acknowledge yourself for all of the ways, big or small, that you are taking steps in the direction of your intentions each day. This can include self-care, too! Perhaps keep a journal of these acknowledgements, or call a friend and encourage one another to share your self-acknowledgement for the day. Two things will happen over time: Firstly, you will see how many steps you truly are making each day (I’ll give you a hint – it’s much more than you give yourself credit for!). Plus, you will get into the habit of being kinder to yourself, rather than beating yourself up for all the things you’re “not” doing, or the ways in which you feel you’re not enough.